SIZING: Fits 1-1/2" pipe (~2.25" O.D. penetration). Fabricated with Custom Pitch for high slope roofs. Oversize base fits either TILE or SHINGLE applications. All 2-1/2 lb./sqft. lead with seamless lead Riser. Provides a watertight seal and completely protects the penetration. 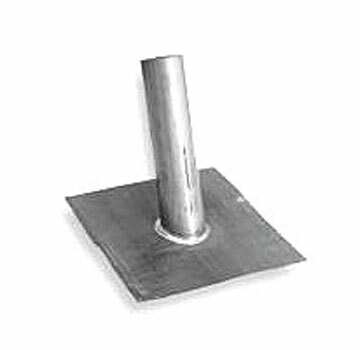 Can be used with all types of roof pipe penetrations. PIPE SIZE: 1-1/2, 2, 2-1/2, 3, 4.